Before a new network can be engineered, the standards and the channels to be used must be known. When both of these are new, as is the present case, the engineering problems are intensified. Many years ago preparatory work started in the examination of the problems of 625-line picture generation, recording, distribution, and transmission. Much of the studio equipment installed in recent years for the existing 405-line programme has been made suitable for operation on the new standard as well, while other equipment has been made so that it can be fairly readily converted. In the transmitter field the characteristics of UHF are very different from those of VHF. The signals required are more intense while the falling-off of the signals with distance is increased. Moreover, shadow effects of hills and other obstructions are very marked. The result of this is that more than three times as many transmitters will be required to give coverage in UHF as are required in VHF, while the power radiated by each transmitter must also be much greater. Further, to reduce the shadow effects higher masts must be used. When we add to all this the requirement that, while not initially called on to transmit colour signals, all the equipment must be such that it can be readily added to or adapted in order to make such transmissions, it will be seen that the complexity and cost of the new network is necessarily very high. The starting point in planning the transmitter network is to carry out propagation measurements across different types of terrain, including sea-paths from the continent, in order to find out exactly how many stations will be wanted, what should be their power, location, aerial height, and so on. This has now been completed for the first group of stations, and building work on these stations is in progress. The first transmitter is already in experimental operation and comes into regular service in April 1964. The others follow at intervals. For many years past we have been taking steps to reduce the manpower required for routine transmitter operation. In view of the large number of transmitters involved, the need to economize in manpower is all the more apparent, and we are planning these UHF stations to operate with the minimum supervision. Automatic devices are being used to the full. Those BBC studios not yet capable of operating on 625 lines are being modified to enable programmes to be so produced, and in the future all BBC studios and the associated recording facilities will be capable of operating on both 405 lines and 625 lines. Because of programme exchange with North America some facilities are also provided for the 525-line system. The programme links between the studios and the transmitters are being engineered for 625 lines and the construction programme for the distribution network, which is carried out by the Post Office, must be co-ordinated with the construction of the transmitting stations. Greater precision is needed when transmitting colour pictures as deficiencies in transmission which would cause only small errors in a black and white picture cause much more serious errors in a colour picture. Moreover, the situation is complicated by the fact that at the present time it has not been decided what colour system should be used. The engineering must therefore be on the basis of making provision for whichever may be the most exacting of the systems under consideration. Possibly a decision on the colour system will have been taken before the entry into service of all the facilities and it may then be possible to relax some of the present requirements. The construction of a new network not only brings with it the problem of finding a large number of men to carry out the design and installation work involved, but also of course to operate the new facilities. Some hundreds of additional staff are required. Naturally, these men are not available already trained in the new techniques and, although many of them will have very good experience on 405-line techniques, it is essential that they should be trained in the techniques applicable to 625-line black-and-white operation and begin to be trained for 625-line colour operation. This has added to the training problem and has necessitated an increase in BBC training facilities. The engineering of such a network involves very large sums of money, and careful balancing of the amount of money available between the various facilities required for programme origination, distribution, and transmission. The availability of money and the engineering effort to spend the money puts a very definite limitation on the rate at which a second network can be expanded. 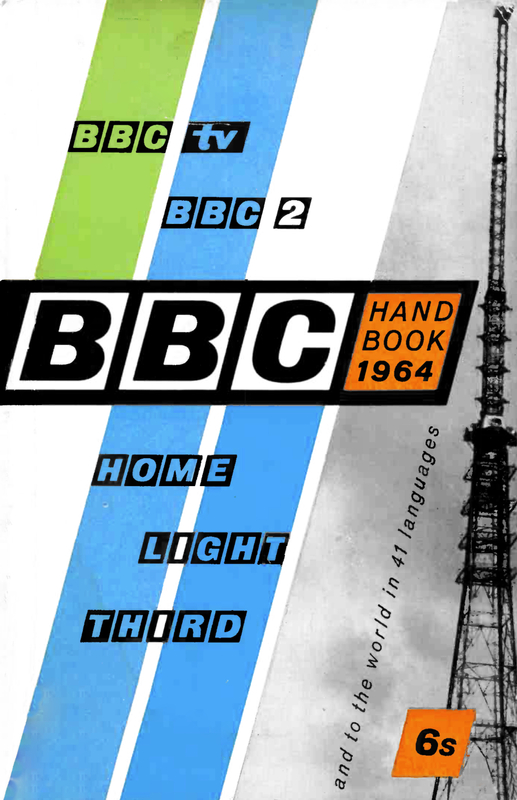 Fortunately, although a very large number of transmitters is required to give complete coverage, a fairly small proportion of these gives the greater part of the coverage, and as has already been announced the second programme should be available to 75 per cent of the population by 1966-7. The standards laid down for 405-line television more than twenty-five years ago still apply and give very good pictures. We have to ensure that the engineering going into the new network is at least as good, since the 625-line system, which will probably last for an indefinite time, is expected to give even better results.